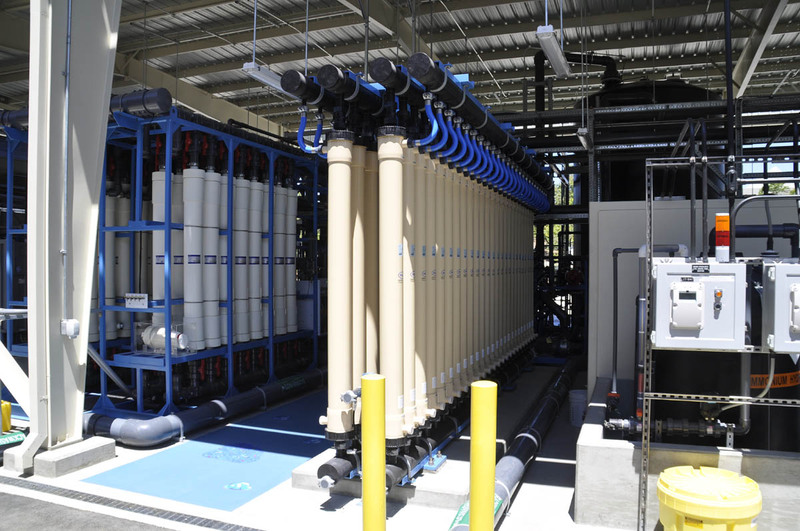 The City of San Diego’s IPR study, now officially referred to as the Water Purification Demonstration Project by the Public Utilities Department, just passed a major milestone: the Advanced Water Purification Facility needed for the project is completed and operations have begun. 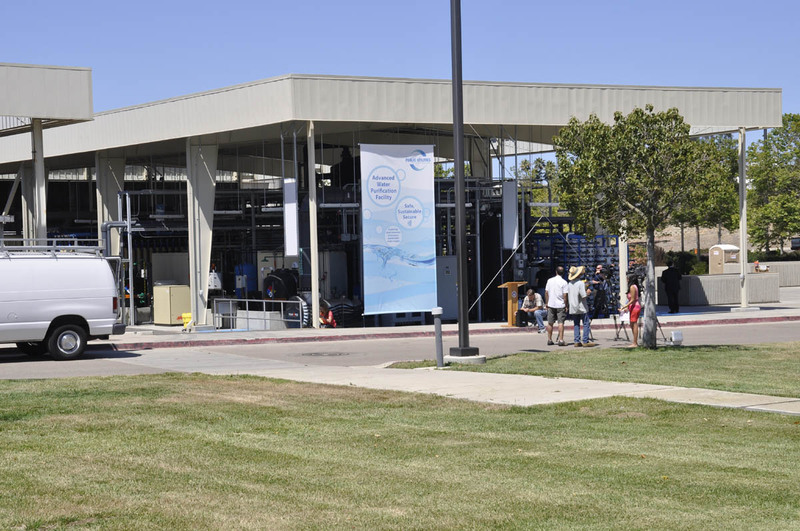 It’s been nearly one year (July 27, 2010) since the City Council approved a contract with Camp Dresser McKee for the advanced water treatment facility. 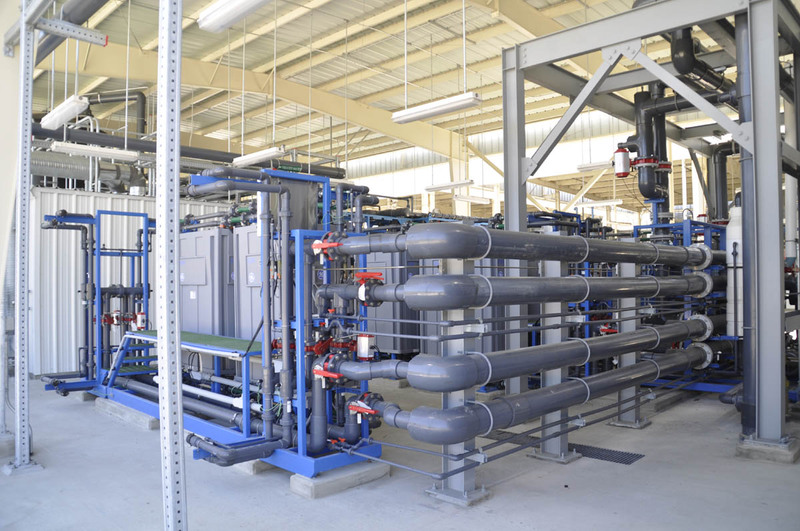 The facility is a key component of the Demonstration Project which will study whether it’s feasible to purify recycled water to potable standards. The $11.8 million cost of the project is being funded with money generated from a temporary water rate increase for the past few years. The rate increase was cancelled after the needed funds were obtained. 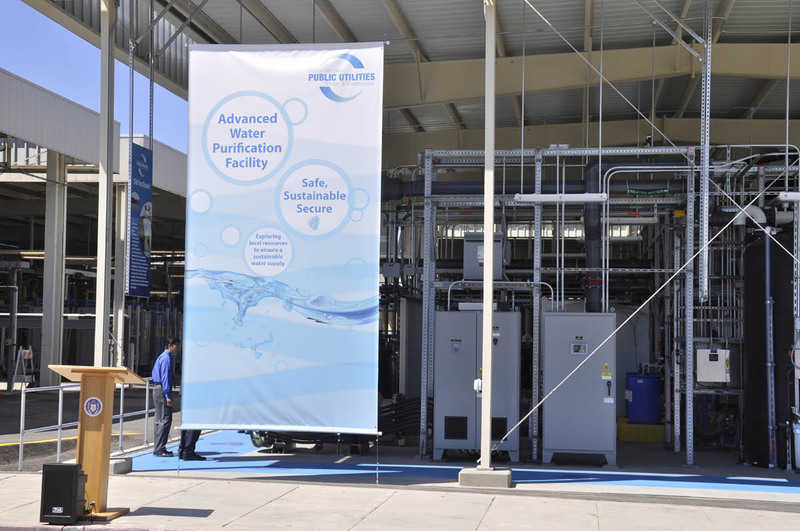 The advanced purification facility was built to blend in as part of the North City Water Reclamation Plant. 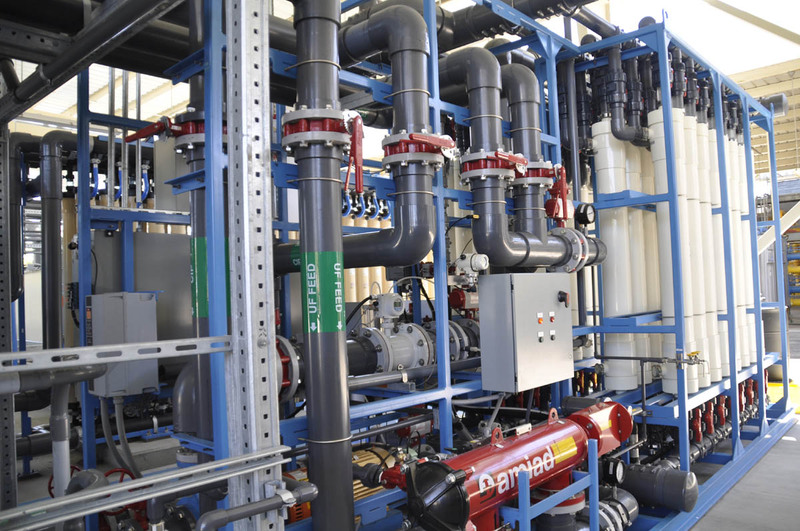 The reclamation plant currently cleans and processes wastewater to the tertiary level* which is clean enough to be used for irrigation and some industrial purposes (*this Wikipedia article provides a good overview of different levels of treatment). 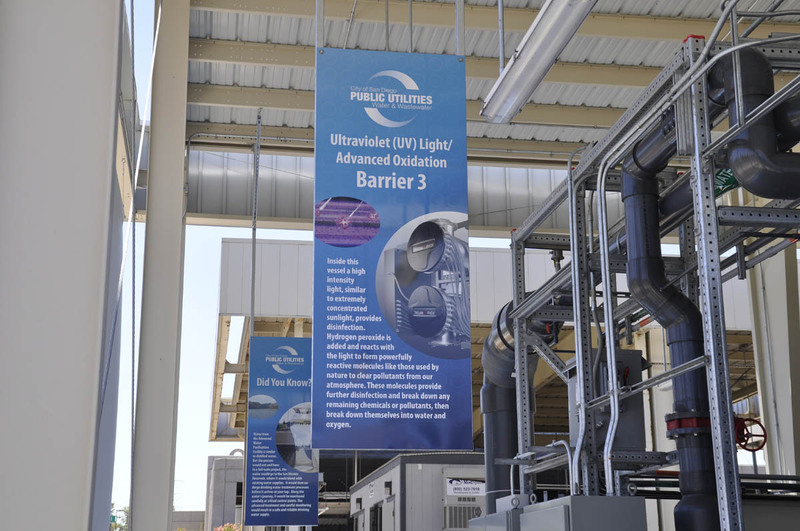 Under the Demonstration Project, which is planned to take one year, a portion of tertiary-treated recycled water from the reclamation plant is diverted to the advanced purification facility where it is further processed through ultra- and micro-membrane filtration, reverse osmosis, and ultraviolet light with hydrogen peroxide for advanced oxidation and disinfection. 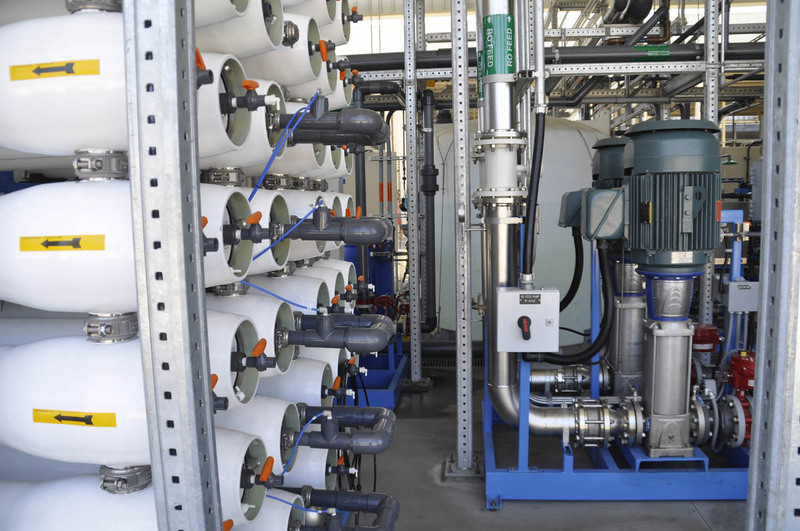 The advanced purified water will be continuously analyzed in laboratories. 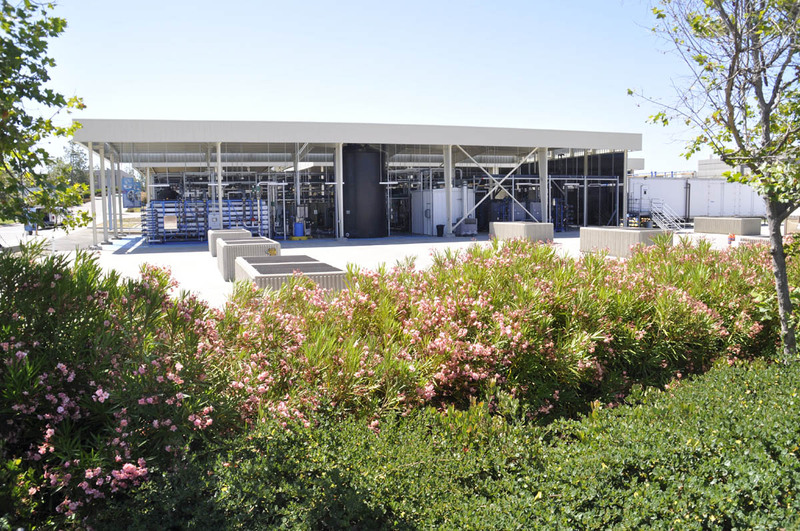 The remainder will be blended with the tertiary recycled water and delivered to recycled water customers. 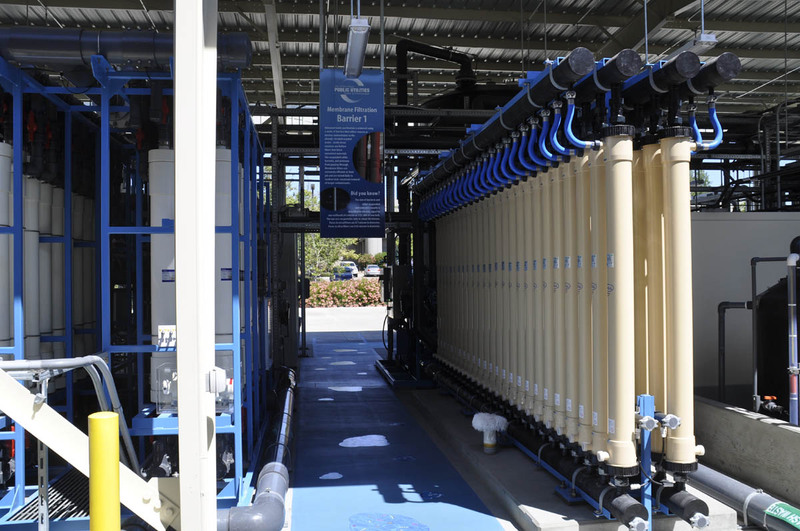 That’s almost like adding drinking water to the recycled stream, which means it’s likely customers will get better quality recycled water than before (for the duration of the demonstration project in any case). 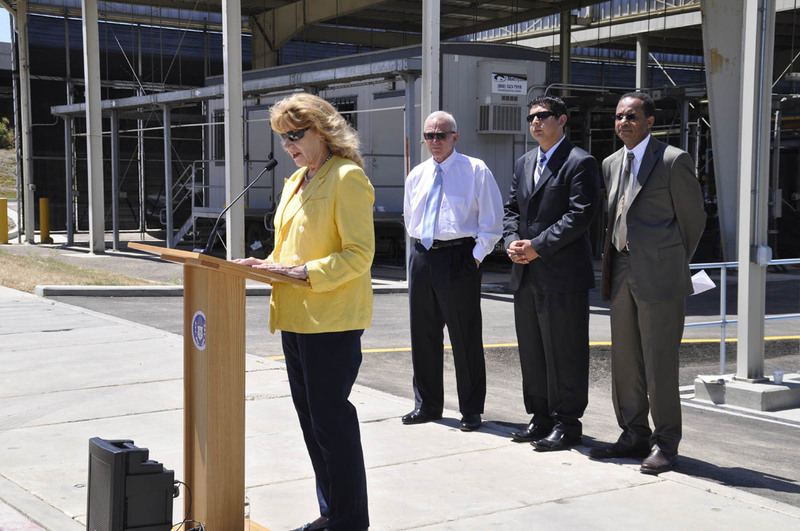 Yesterday (Thursday) there was a celebratory “kick off” for the project at the North City Plant. 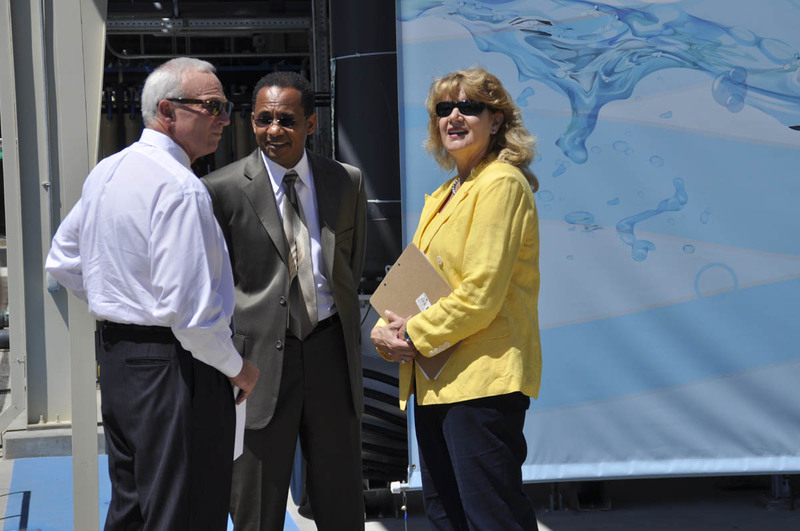 Mayor Jerry Sanders, Councilmember David Alvarez, Public Utilities Department Director Roger Bailey, and Public Utilities Department Deputy Director Marsi Steirer spoke to mark the occasion. Afterwards we had a brief tour of the facility. 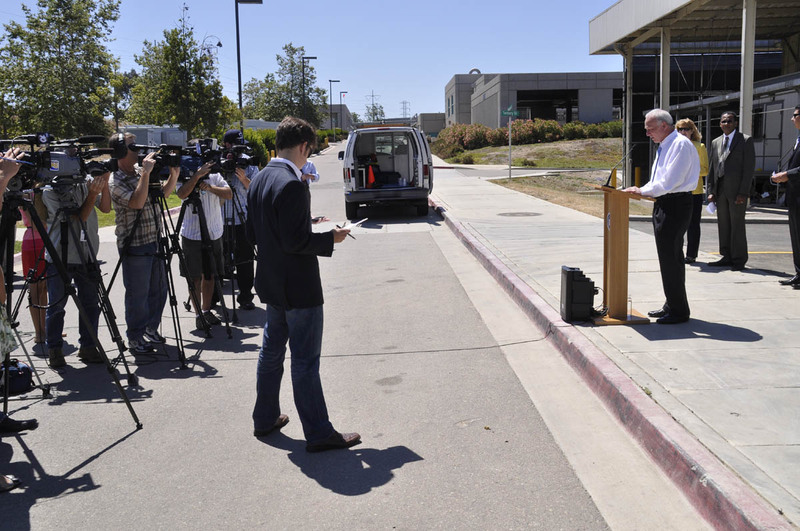 Local news media reporters were out in force covering the event. You’ll find varying points of view about the concept — and as usual there are a few folksy or provocative pieces along with potty headlines. 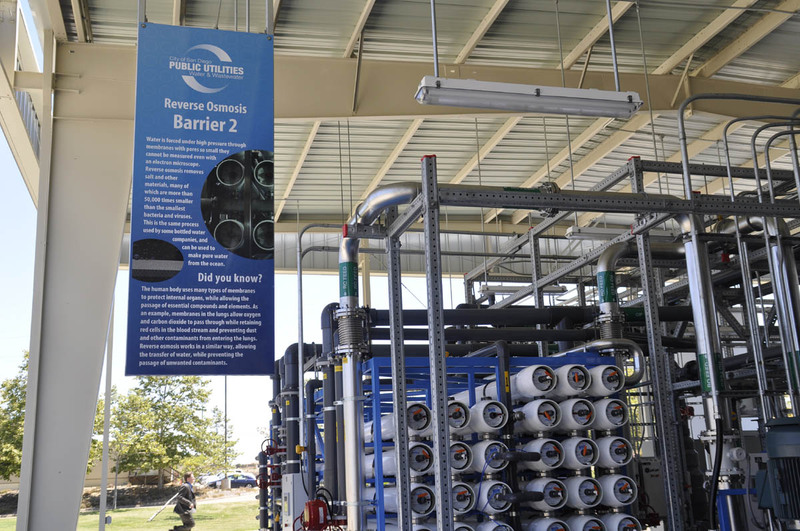 By the way, public tours of the Advanced Water Purification Facility are available. 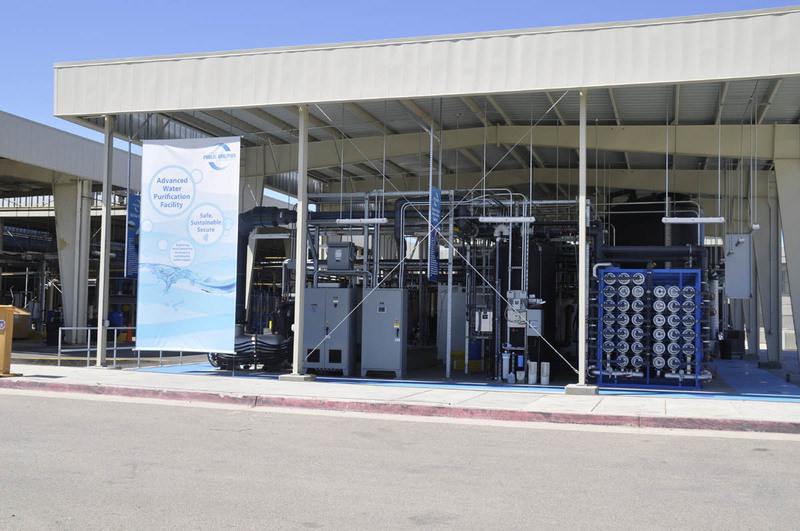 Register at http://purewatersd.org/tours.shtml. 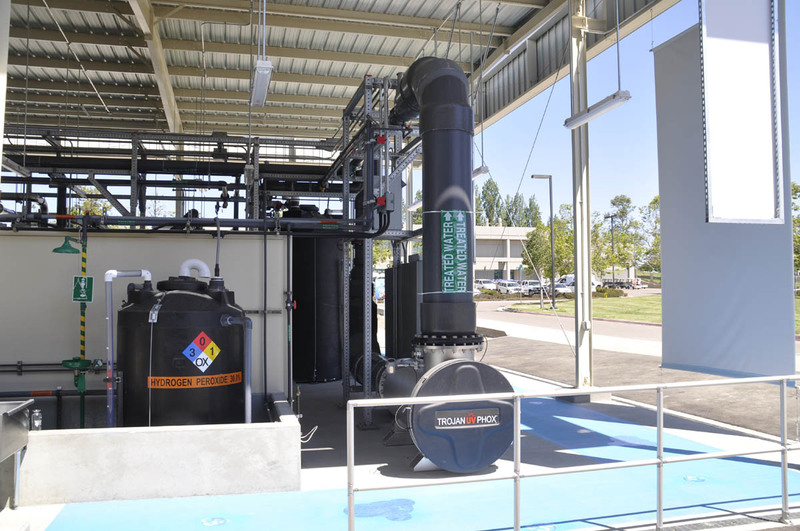 This entry was posted on July 1, 2011 at 12:38 am	and is filed under Indirect potable reuse, Water, Water Purification Demonstration Project. You can follow any responses to this entry through the RSS 2.0 feed. You can leave a response, or trackback from your own site. Thanks, George, for your report; as usual, to your excellent standard of information and quality! 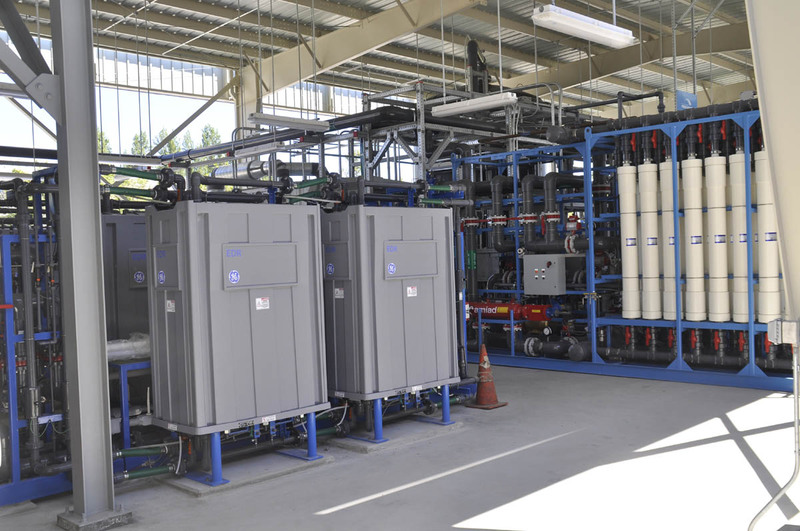 The reported event is only one of several tasks to be completed under the Water Purification Demonstration Project. Others, as yet unreported, include a costing of a Phase 3 program and a limnology task. The latter reflects the fact that treated water will require sequestration (in San Vicente reservoir) to guarantee safety before being released into the potable water supply of the city. All of the tasks of the WPDP must provide favorable outcomes. 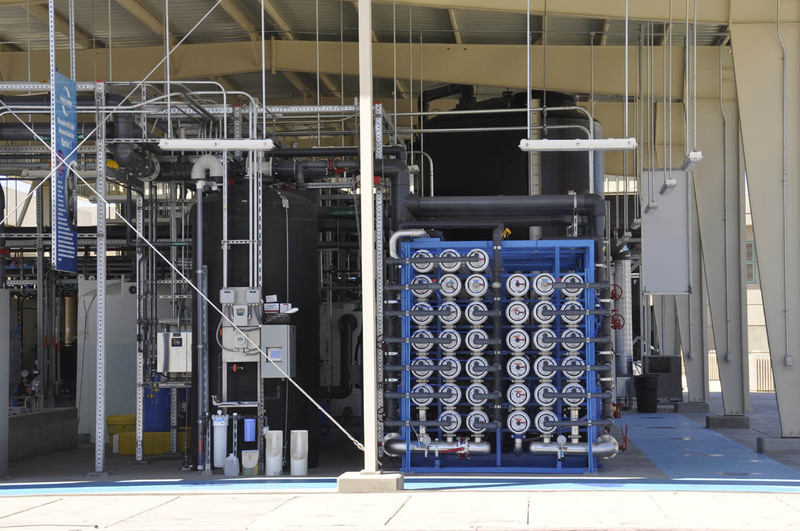 We should keep in mind that the WPDP is only a partial demonstration of the viability of the IPR, which, in turn is based on option NC-3 of a study on the use of recycled water. The event may be worthy of celebration, but there are significant questions yet to be answered. 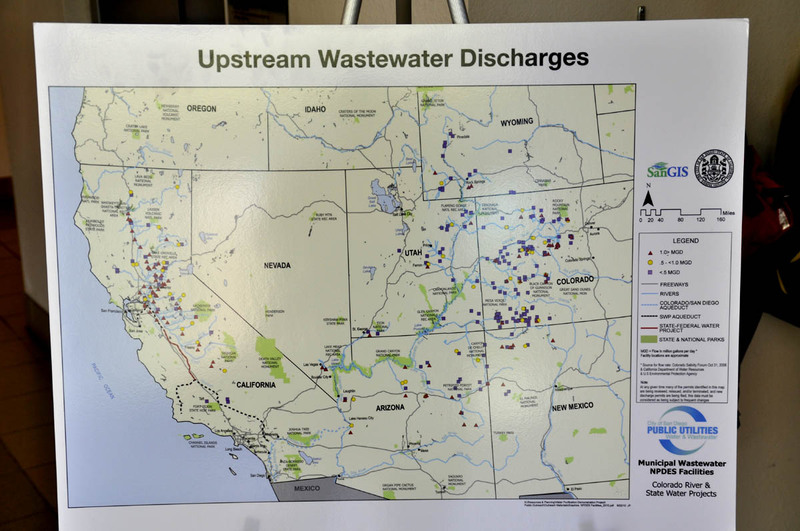 ….indirect potable reuse, formerly known as “toilet to tap”, is ……. More accurately that phrase would read “derisively referred to by opponents as “toilet to tap.” But I prefer to stick to standard industry terminology.